Filippo Brunelleschi is commonly famous as one of the earliest leading architect and engineer of the Renaissance period. He is honored as the first modern engineer. He was born on 1377, Florence, Italy. Historians could not find out much about his early life. It’s been known that his father was a notary in Florence. He had two brothers. got recruited in the Arte Della Seta. At the beginning of the 1400th century, he became one of the best goldsmiths of that time. In 1401, there was a competition between sculptors to design a new set of bronze doors for the Florence Baptistery. Famous sculptor Lorenzo Ghiberti was his competition along with others. Lorenzo Ghiberti won the competition. After that Filippo Brunelleschi slowly transformed from a sculptor to an engineer. He was influenced by the study of the ancient ruins of Rome with his friend Donatello. Donatello was also a famous sculptor during that time. The first work of his engineering life was the Ospedale Degli Innocenti. It is a remarkable example of excellent architectural and engineering capacity. After this work, he became very famous and soon he was getting other commissions. At the beginning of his new career, Filippo discovered the principles of linear perspective. It is a painting technique known to ancient Greeks and Romans which was lost. 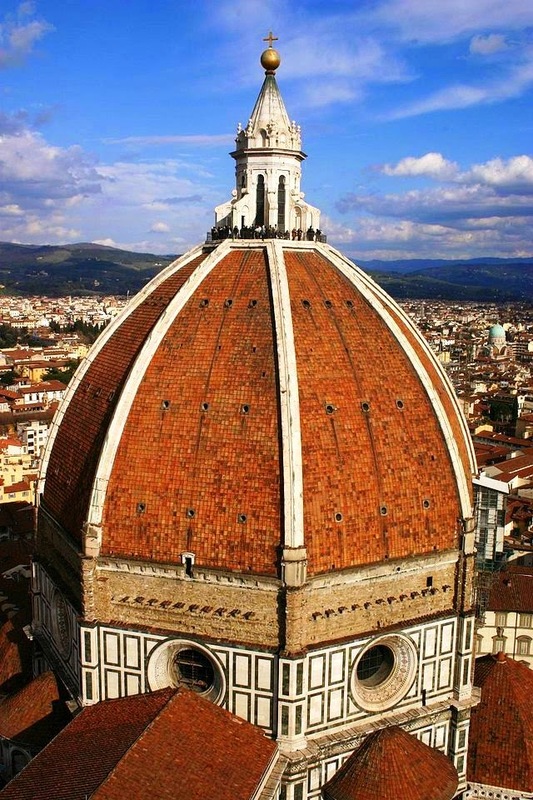 One of his major architectural work is the dome of the Cathedral of Santa Maria del Fiore also known as the Duomo situated in Florence. Brunelleschi was also responsible for building some extraordinary military forts. He also invented some modern mechanism for theatrical play in the churches of Florence. Such as the mechanism for flying angel. Chapel of the Pazzi family was one of his last and best works. This great sculptor and engineer died on April 15, 1446. He was buried at his own creation, in the Duomo. He will be remembered as the first modern engineer and sculptor.